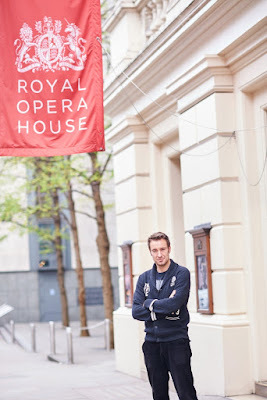 Barihunk Yuriy Yurchuk was recently featured in the Financial Buzz's Lifestyles section for his move from a Mergers & Acquisition expert at PwC (PricewaterhouseCoopers LLP) to becoming a fast-rising star in the world of opera. We've been following his career closely, including his exciting 3rd Prize win at the Queen Sonja Competition in August where he sag music by Sviridov, Bellini and Verdi. The Ukrainian singer is a member of Royal Opera House Jette Parker Young Artists Programme. In the 2015-16 season he will appear on Royal Opera stage as Blazes in Peter Maxwell Davies’ The Lighthouse, Angelotti in Puccini's Tosca and Johann in Massenet's Werther. In January 2016, he will be singing in Tosca and Baron Douphal in La traviata at the Royal Opera House. La traviata will also be screened live in cinemas worldwide on February 4. 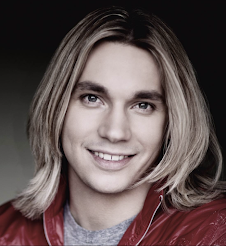 Yurchuk is a former Salsa dance champion in his native Ukraine. You can read the feature on Yuriy Yurchuk in the Financial Buzz by clicking HERE.